Tina grew up loving animals and having cats, dogs, bunnies and turtles as family members. She fell into Rescue when she adopted her labraweinie Curtis (half lab, half mini dachshund) as he was posted for free near her home. He changed her whole life and she’s been donating her time, money, admin abilities, fostering and arranging transport for dogs ever since. In about 2012 Tina started sponsoring dogs in Bosnia as she realized how awfully they are treated. 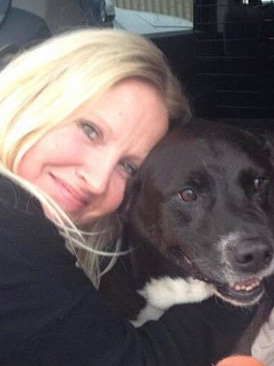 After her first sponsor dog was adopted, she was hooked! Tina met Maya and Sanela from Hope VMS Elaine's Dogs Rescue and says her life changed again. Since then they’ve become a great team, working together to fundraise, and have kept over 160 dogs safe and have had 98 adoptions!